Back by popular demand! Be a Ghost Hunter for a night while also aiding in the preservation of history. Come investigate the historic and haunted properties of the Mine Au Breton Historical Society in Potosi, MO on Saturday June 11, 2011 with PTF. A pre-investigative meeting and tour will start at 6:00 p.m. to present the historical & haunted history of the properties being investigated and to tour them while it is still light. Did you know that Potosi was home to the infamous Austin family, including Stephen who was the first to take a party to colonize Texas? Austin, Texas is named after him! Stephan and his father (Moses) built and operated the Austin Store which is on the list of places being invstigated. Also, in 1932, bank clerk Frank Flynn comitted suicide on the second floor of this building by shooting himself in the heart with a .38 caliber pistol. Does Frank's spirit still linger there today? Come and find out yourself. Attendees will be divided into three groups and rotate to investigate a different building at different times throughout the night. Everyone will have the opportunity to investigate with investigators of Paranormal Task Force and to receive paranormal field training as desired. This event is selling fast. Fi) Channel many times since 2008.
years sometimes tell of "not so happy" endings. In 1947 the Castle became part of the Veterans Administration 500 bed tuberculosis hospital until 1952 when vacated. From that time forward it served as many uses until being bought by the current owner in 2003. With it's eloquent charm, mystic atmosphere, mysterious past, lovely hosts and an abundance of occurring unexplainable events; this is one place that you want to add to your "places to visit before you pass on" list. When you indulge yourself within this building once, you will find yourself with an addiction to return multiple times to experience more of what it has to offer. A pre-investigative meeting and tour will start at 7:00 p.m. to present the historical & haunted history of the Pythian Castle. Then the all night investigation will begin between 8 and 9 p.m.
and conclude at 4 a.m. A midnight snack will be provided. investigate with investigators of Paranormal Task Force and to receive paranormal field training as desired. The same great overnight investigative event at Pythian Castle as described above but for Saturday July 16, 2011. Tickets will be on sale soon for this one. When: Saturday September 17, 2011 Time: 7 p.m. to 4 a.m. Where: Pythian Castle in Springfield, Missouri Cost: $75.00 per person Minors have to be accompanied by an adult. No refunds unless the event is cancelled or rescheduled. - Note - An "at your own risk" liability waiver will be required to be signed by attendees. PARANORMAL TASK FORCE™ is the “One Stop Paranormal Resource Center” with multiple resources, divisions and departments to meet all of your paranormal needs. We at Paranormal Task Force are a professional team of experienced paranormal investigators and researchers. 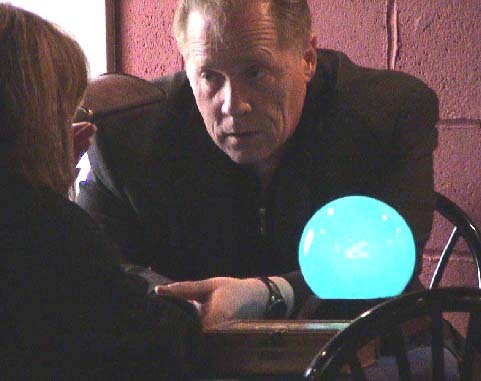 We combine a unique blend of humanistic values, and scientific techniques which result in a well formulated, balanced tactical approach to paranormal investigations and research. Along with our adherence to a strict set of protocols and standards, our methods result in superior client satisfaction, collection of quality evidence beneficial to the overall progression of the paranormal field and in some cases bring full closure for the client.